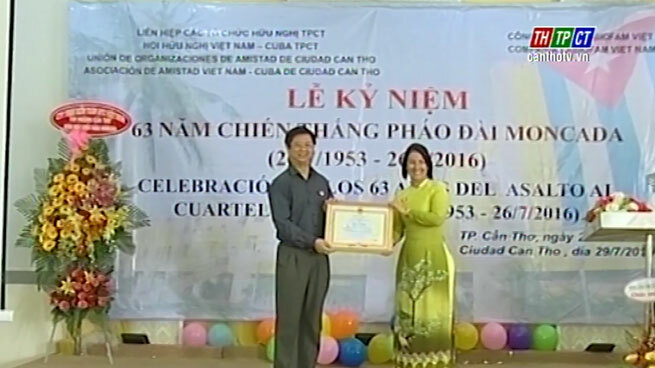 In the morning on July 29th, Cần Thơ city Union of Friendship Organizations coordinated with Vietnam – Cuba Friendship Association, Vietnam – Cuba Friendship Association branch and Vietnam Labiofam Limited Company to open ceremony on the 63rd anniversary of Moncada Fort’s Victory, July 26th 1953 – July 26th 2016. Mr. Trương Quang Hoài Nam – Vice Chairman of Cần Thơ city People’s Committee came for attendance. The anniversary aimed to review history and victory of Cuban people by the lead of President Fidel Castro as well as commemorated national heroes and the historical turning point of Cuba democratic revolution. Beautiful friendship of Việt Nam and Cuba. 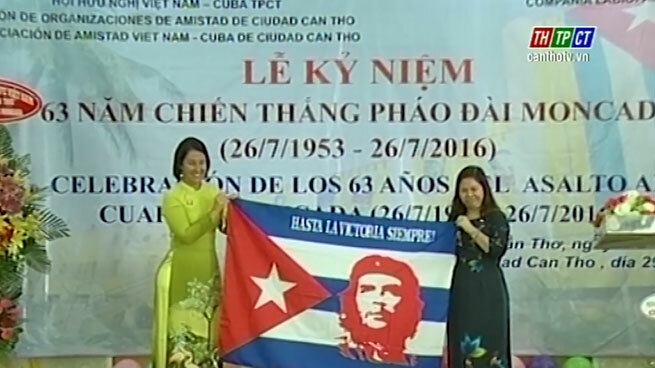 At the ceremony, Ms. Lê Thị Thanh Giang – chairwoman of the city union of friendship organization recalled beautiful friendship of Việt Nam and Cuba. 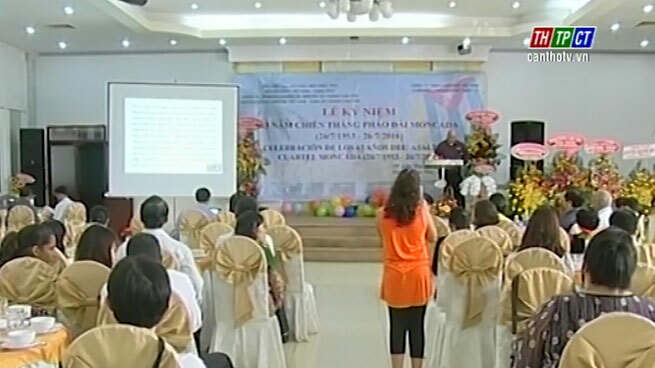 Mr. Trương Quang Hoài Nam offered merit certificates. On this occasion, the city union offered merit certificates to 47 teams and 78 individuals having outstanding performance in 2015 of member organizations in the city union./.